The hate on social media would make you think Vera Sidika has no fans. But do not be deceived by trolls, the bootyful socialite has a loyal legion. 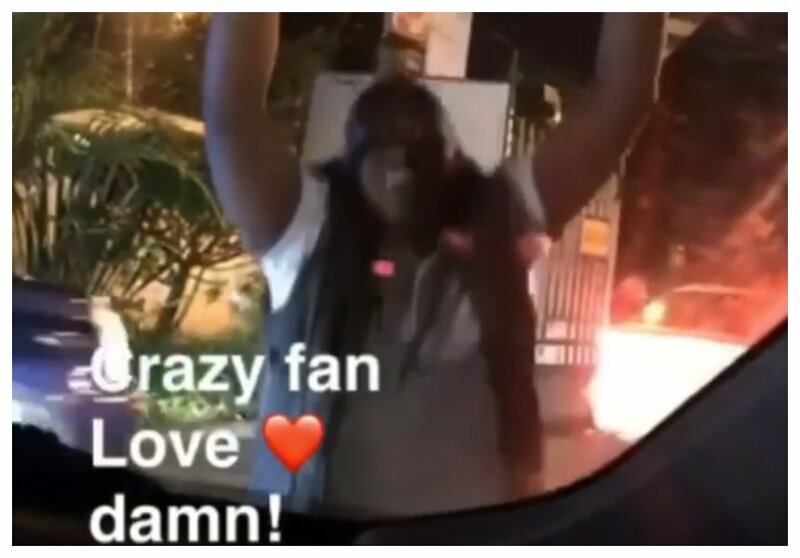 Vera was forced to stop her Range Rover by a crazy fan who begged for a fraction of her time. The man knelt in front of the socialite’s vehicle forcing her to stop. The man only wanted to shake hands with Vera. Several other fans milled around the Range Rover the moment Vera rolled down the window to greet the man. Vera has promised to take the crazy fan for a lunch date at a restaurant of his choice. The socialite asked the man to tag along his girlfriend just to make her intention clear to avoid speculations. “I didn’t wanna post this. But I have been watching this video over and over again. I can’t ignore it. I keep replaying it….And my heart tells me I need to reach out. I have lovers and haters but what makes me so emotional is the fact that this young man saw me drive out of a club and came kneeling down right infront of my car begging just say hi. All he wanted was a handshake. Which he got. This might mean nothing to most people but it means so damn much to me. I feel the need to do something about it. And I would wish to take this loyal fan out for Lunch. That’s the only way I would feel content, happy and relaxed. If you know this young man kindly tag him & let him know I wanna take him out for lunch & give him an opportunity to chat with me & ask me whatever he would love to know about me & Take as much photos he wishes to. (Restaurant of his choice) And he can bring his girlfriend too so she feels comfortable. I just wanna make his day that’s all. Bless up ” wrote Vera Sidika.